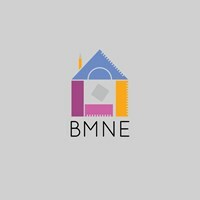 BMNE - Home Improvements based in Newcastle upon Tyne, Tyne and Wear. We at BMNE pride ourselves on our workmanship. We are a team of time served skilled tradesmen that strive for perfection. We give a clear indication on the price at the beginning and if there are alteration we have protocols in place so there are no nasty surprises at the end. Got an emergency? We aim to be with you within 1 hour. The types of jobs we are capable of doing include: plastering, general property maintenance, plumbing, painting and decorating and many more. We can also offer a tailored package to commercial clients to ensure they are compliant with building certification such as emergency lighting, fire alarm servicing, AC servicing.